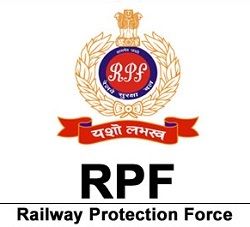 RPF SI Result 2019 is Out by the Railway Protection Force & Railway Protection Special Force officials. So, candidates who have given effort in the held Sub Inspector CBT can directly check this page to get the accurate updates. Moreover, we have given you the direct links to get the results from the si.rpfonlinereg.org. Apart from those, we have attached the expected RPF SI Cut Off Marks 2019, the steps to check the RPSF Sub Inspector Result 2019 and also the RPF SI Merit List 2019. Also, you can get the list of selected candidates under Group E, Group F.
Candidates who had taken part in the Computer Based Test Phase I must check their RPF SI Result 2019. Moreover, the si.rpfonlinereg.org Exam Result 2019 will be Available Now online for only Group E, Group F. So, make a note and then move further. Candidates can directly access their रेलवे सुरक्षा बल SI Result by using the Hall Ticket Number as well as the date of birth or the password. Preferably than wasting your time by surfing the internet, you can get all the relevant information on this page. Well, the officials of the Railway Protection Force & Railway Protection Special Force had recently announced the results for the applied Sub Inspector Posts. So, along with the RPF SI Result, you need to check the RPF SI Cut Off Marks 2019. Candidates have to score the required cutoff marks/ qualifying marks in the written test round to shortlist for the next rounds of the selection process. Candidates can easily find the complete information of the expected cut off marks based on gender and category. So, check these tables to get the exact information. Candidates while checking out the RPF SI Result 2019, you must also check out the RPF SI Merit List 2019 from the official site @ si.rpfonlinereg.org. So, you can use the keyword like the Hall Ticket Number or the name of the candidate to access the RPF SI Merit List 2019. Moreover, you can download the Shortlisted Candidates for the Phase I from the direct link given below. The shortlisted candidates of PET/ PMT will be called for the Document Verification Process of the RPF SI Recruitment 2019. All the documents as mentioned below are in need while attending the Document Verification phase. Candidates who will not attend the Document Verification will not be considered in the final selection, irrespective of their appearance in written examination and PET/PMT. After completion of the Document Verification, they will release the Final Merit List for the selected candidates. Candidates can check the documents listed below which are required to be carried on the day of document verification. Class 10th/ Matriculation certificate as the Date of Birth proof. Make your path with the help of the given steps to check out the RPSF Sub Inspector Result 2019 online from the official site. Initially, candidates have to move through the official site of the Railway Protection Force & Railway Protection Special Force @ si.rpfonlinereg.org. Click on the tab and then select your group to know the RPF SI Result 2019. Or else, you can directly click on the link as given to the end of this page. Download the result, merit list and also take a print for further usage. We hope that you all have gathered the complete RPF SI Result 2019 information from the current page. So, to get the updated information, you need to stay tuned to us only on our FreshersNow.Com page.